Gilbane Advisor 8-23-17 — Health data computing, PWAs, blockchain & syndication, don't "get started"
CB Insights found a new Apple patent for an “Electronic Device That Computes Health Data”. 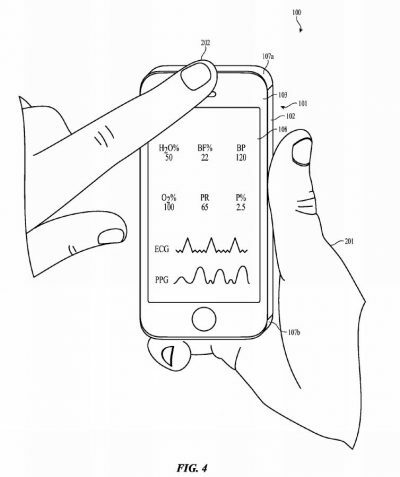 The examples use an iPhone, but the patent covers any computing device with “a camera, an ambient light sensor, and a proximity sensor”. This covers Apple’s current main products, and will certainly cover future versions of some of their wearable products. Needless to say, a combination of integrated Apple devices computing health data in concert, in addition to communicating with third party devices and apps, is a powerfully flexible hub environment. This model plays to Apples strengths, is applicable to other IoT applications, and suggestive of future strategy. technology and the complex device integration and data sharing necessary for it, and other complicated applications of general purpose computing.” The other candidate is glasses, but we’ll see. In any case, the devices will be working together. Introducing the news business’ first “initial coin offering”: Ethereum to the rescue?